On Friday, students were handed a parent permission form for our upcoming World’s Finest Chocolate Fundraiser, available here for your convenience. The representative will be here on Monday to discuss with students the procedures, prizes, and benefits of participating. Participation is optional, but if students sell at least 2 boxes of chocolate, their whole spring trip is paid. Additional funds raised will go directly to student awards and other student incentives. We must receive the signed permission slip before we can checkout chocolate, and the first opportunity to do this is on Monday at 3:40pm. So as to not interfere with instruction, students and parents may only check out chocolate after school from 3:40-4:15pm. Also, we will only accept money envelopes before school (during Advisory) from 7:40-8:10am. Students will not be allowed to check out another box of chocolate until they turn in the $60 from the first box. We accept cash (no coins, please) and checks made out to SBMS with a valid phone number. We cannot accept opened boxes of chocolate, and students must understand that we are loaning them $60 worth of chocolate for every box they check out. They must return $60, even if they don’t sell the whole box no later than Monday, September 24. This is when our fundraiser ends and all money is due. 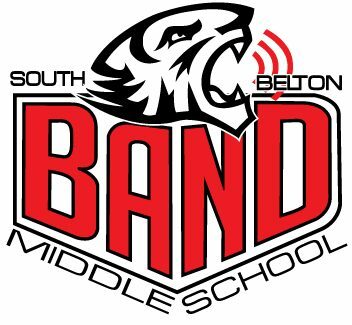 Finally, just a reminder that a payment from all school-owned instrument payment plans is due no later than this Friday, September 14. If you signed up for Plan #1, the payment is the full $100. Plan #2 is $50, and Plan #3 is $25. Plan #4 (Monthly) is $12.50. Also, payments for the uniform shirts and auto decals are due by this Friday. Beginner shirts are $10, polo shirts are $20, and jazz shirts are $25. Auto decals are $10 each.